After growing up on Long Island in New York, I moved with my family to a small town in Kentucky, where we owned and operated five local motels and two restaurants. So I was exposed to all facets of the business at an early age —from the front desk to maintenance, and immediately I was drawn to working in hospitality.. After graduating from the University of Kentucky with a CPA, I joined the accounting firm Coopers & Lybrand in Louisville, KY, and later relocated to the West Palm Beach office, where I worked with various hospitality accounts including The Breakers. I ultimately joined The Breakers in 1985 as Controller and rose through the ranks to President, so I’ve been with our company for almost 30 years. As President of The Breakers, what is your vision for the hotel? Our master vision is to continue The Breakers’ legacy of being one of the most successful, entrepreneurial resort’s in the world, by striving for employee fulfillment as the driver of that success, and consistently delivering a superior, ever-improving product to our customers. The key word is ‘ever-improving’…I’m always telling our team, from our line staff to our managers, on our best day we can be better. We are committed to a long-term perspective that focuses on ongoing enhancement, thanks to the relentless dedication of our family ownership (who are descendants of the resort’s founder, Henry Morrison Flagler, circa 1896), and we do not waver from this path. We have an incredibly unique property in which we invest $25 million each year, and we place equal value on the investment in our team. In such a competitive industry, how does The Breakers stay so successful? Without hesitation, I credit The Breakers’ success to the work of our team members, and our passion for making our resort an incredible place to work. We came into our own years ago when we shifted our focus to hiring the right people — individuals who are talented, energetic, positive, team-oriented and kind; whose ideals reflect the highest standards of ethics and service. So we hire for talent and train for skill, and treat our team as well as we treat our guests; this creates an extraordinary organizational culture that fosters customer satisfaction. As a result, our mission to provide outstanding, friendly service to each other and to our guests comes naturally to our team members — it is not trained. By maintaining a debt-free financial position and committing to an annual allocation of $25 million in capital expenditures, we keep the property fresh and appealing to guests of all generations. 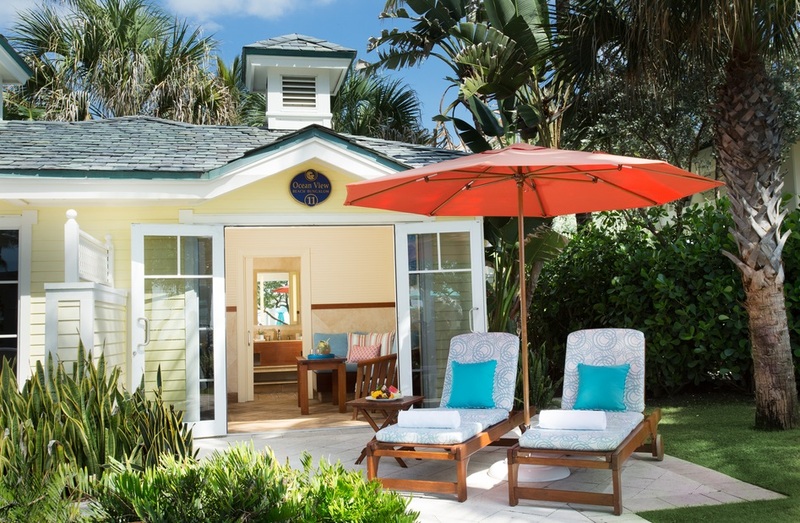 We must balance preservation and modernization to safeguard our distinctive character and setting, while continuously introducing and transforming our amenities to bolster our resort’s contemporary appeal. I could not discuss The Breakers’ success without expressing our gratitude for it, as our financial success empowers us to contribute to the quality of life of our staff, our environment and to support those in need in the community. It allows us to be among the most socially responsible companies in the industry. We are mindful that we have a meaningful role in the hospitality industry and community — while serving our customers, we must leverage our best efforts and resources to serve the greater good. What partnerships/marketing strategies did you implement that attributed to the success of The Breakers Hotel? When it comes to fostering partnerships and deploying marketing and communications strategies, The Breakers is strategically focused on brand alignment and the dynamic lifestyle and preferences of our target markets. We are mindful to pursue and leverage opportunities that reinforce our platform, add equity to our reputation or drive demand among our audiences in the context of quality, versus simply looking to generate exposure and awareness. This extends to all aspects of our business operations, including retail (Lilly Pulitzer, Ralph Lauren, Guerlain, etc. ), to design in the realm of our restaurants and bars (Adam D. Tihany), and one of our premium suites (Badgley Mischka). At the same time, we have internalized most of our marketing capabilities, which is quite unusual for today’s hotel companies, particularly independent properties, most of which are outsourcing. Conversely, we manage most of our marketing, advertising, public relations, promotion and social media through our in-house team. We also continue to grow our U.S. and overseas markets in fiscally responsible ways by leveraging partnerships with American Express, Visit Florida and Discover The Palm Beaches, and have fostered strong, long-standing partnerships with luxury travel agencies and specialists. Your greatest success as proprietor? Leading the turnaround of our historic resort by creating an incredibly productive corporate culture, one that is highly trusted and respected by our shareholders, team, guests, and community. Today, The Breakers has achieved best-in-class employee satisfaction, guest satisfaction and financial results. How important is location & design selection to the success of your hotel? 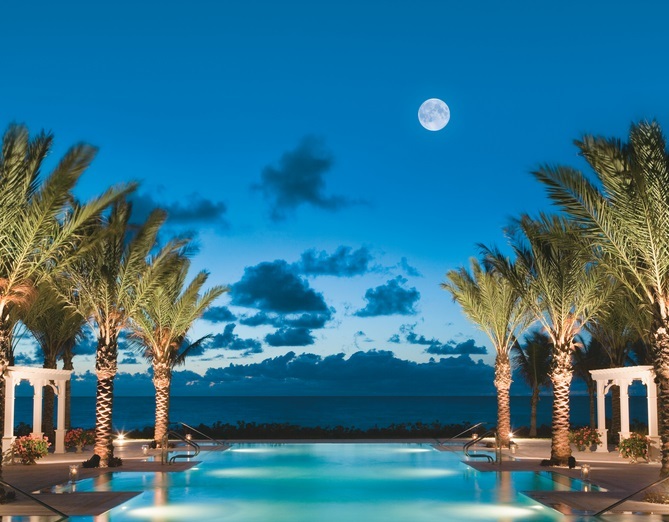 The Breakers is fortunate to have a peerless oceanfront location, situated on 140 acres in the heart of Palm Beach, Florida. Our proximity to airports has great appeal to travelers, we’re just 15-minutes (only seven miles) from Palm Beach International Airport, and the Fort Lauderdale and Miami International Airports are only 42 and 72 miles away, respectively. We are vehement when it comes to balancing and integrating the historic, Italian Renaissance architectural design of our property, with the modern classic elements that we have incorporated in recent years. There is no single design modality. Even our 540 guest rooms and suites, the product of an $80 million renovation and re-design, blends several designers’ influencers. Key examples among our eight restaurants and eight bars: HMF is a nod to the golden-era Palm Beach cocktail party of the 50s and 60s, but with a sense of modernity, and Flagler Steakhouse features a contemporary design with the feel of a timeless social club. Every corner of our destination is completely revitalized, reflecting an incomparable blend of glamour and relaxed sophistication. What qualities make a Five-Star Hotelier? Passion, attention to detail, great taste in design and food, as well as the ability to identify and inspire team members with the energy and heart to serve. Describe the ideal customer experience at The Breakers? Whatever the guest wants it to be. Bali, Biarritz or anywhere with really good waves, so my wife and I can enjoy watching our four boys surf. We also love to ski and there is no better place than the Stein Eriksen Lodge in Deer Valley, Utah. My business and personal role models are our Chairman, Jim Kenan; his brother-in-law, Garret Kirk; and our Vice Chairman, Tom Kenan. They are the smartest business people and finest human beings I have ever met. I am now in my 30th year with The Breakers, so these men are like my parents, brothers, partners, coaches and best friends. Work your way up in every possible operating department, especially reservations, front desk, housekeeping and room service. Learn at least basic accounting, the language of business, and as much as you possibly can about human resources (how to hire, coach, communicate, etc. ), because this is the “people” business. Physical fitness — I often exercise twice a day. I ride a road bike, workout in a gym, play cardio-tennis, swim laps, stand-up paddleboard, windsurf, golf and go for walks with my wife. A pile of daily prayer printouts prepared for me by my wife, and a few issues of Fortune magazine. What's next for The Breakers? There is always something next for The Breakers, since we are always in a mode of continuous improvement and renewal. This past November we debuted Ocean Fitness, a spectacular, 6,000-square-foot, indoor-outdoor fitness experience overlooking the Atlantic Ocean. It’s a best-in-class hotel fitness facility, designed with an amazing array of resources to help individuals reach their personal fitness goals. In the year to come our spa will undergo a renovation and redesign as will the Flagler Club, our private concierge level. Each year our guests have come to expect that they will see and experience something new, and we look forward to exceeding that expectation.